Many of you will now that I'm a big believer in wearing SPF everyday. Yep, even in this mostly dull, wet and grey English weather. My go to for the last year has been the Balance Me Natural Protection Moisturiser SPF 25, which I reviewed here. However, I am well aware that at £26 many people will find it too expensive for an SPF, especially if say you were purchasing one for each member of your family (I do end up purchasing my Mum and Sister's for them because they cannot be trusted left to their own devices!). This is exactly where the Altruist Dermatologist Sunscreen SPF 50* comes in. The founders actually created this SPF because they believe that a good sunscreen should be accessible to everyone, and not everyone has a lot of spare cash to spend on skincare and beauty products (I know I didn't as a student, and I know that there are a lot of people who have much less disposable income). Before this turns into a speech about poverty and injustice in our society (I could go on! ), I wanted to point out that Altruist was created by skin cancer specialist Dr Birnie. For every bottle purchased, Altruist also donates to charities supporting children with albinism. What a nice person, right?! I also feel like these small, ethical companies are exactly the type that we should be supporting. I mean it is nice to be acknowledged by the big brands every now and again, but sometimes you gotta think about the greater good. These SPFs retail at £4 for the SPF 30 (200ml), and £3.75 for SPF 50 (100ml). The spray version costs £5 for both the SPF 30 and 50 (200ml). You can find them here on Amazon, although they only seem to be selling them in packs of two at the moment. 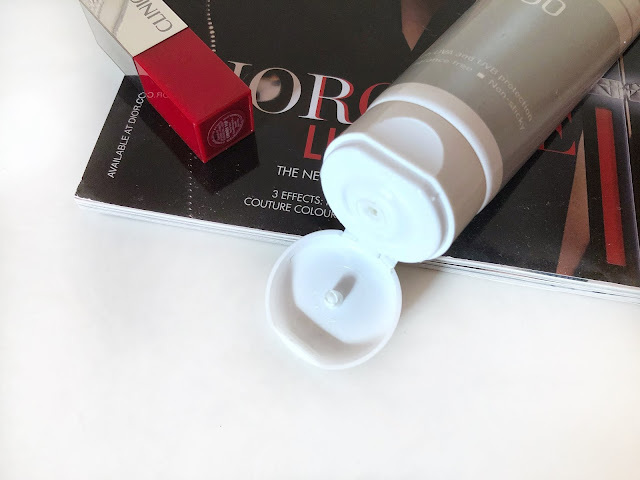 I know that I said I preferred physical SPFs (for the debate on natural vs chemical sunscreens - see the Balance Me post here), however this one is a mixed one so I can live with that. It also has a 5 star ultra UVA protection, it's water resistant, and it's hypoallergenic and fragrance free; making is suitable for sensitive skin. I think it's time I moved on to my thoughts on the product now. In terms of formula and consistency, I think it is one of the more lightweight SPFs I've used, it's definitely nowhere near the thickness of say Nivea/Garnier SPFs, and it's much more lightweight then the Balance Me SPF too. 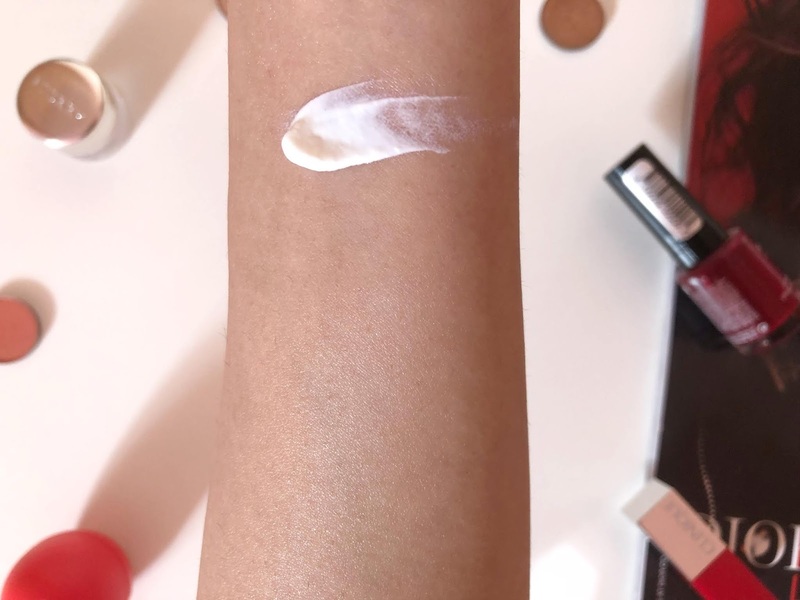 Although the Balance Me SPF is a moisturiser too so that one feels more like a base, whereas the Altruist isn't a combination product, however it can still be used as a moisturiser over a serum as it is quite hydrating and it creates a nice barrier between makeup/primers and the skincare underneath so to speak. It absorbs well and quite quickly, it also isn't as greasy as many other SPFs I've used. On my body it doesn't leave any shine at all, not does it feel sticky upon the skin, once you've massaged it in you won't really be able to tell you have it on. On my face, there is a bit of a a visible shine on areas where my skin is a bit congested (cheeks, chin), but again it's not that bad that I wouldn't go out with it on alone. It doesn't feel hot or sticky on my face either, and it seems to go well with my beauty products. During the day it fares well, it doesn't cause my makeup to go haywire, well that's more the sun melting it off. Although, at the end of the day I definitely do feel like I need to cleanse my face properly to remove it and it can start feeling a bit hot, but again that's probably a combination of the heat. I actually don't get along with the heat that well. I think I sometimes do get some symptoms of heat exhaustion, although it's not something I've been to the doctors about, but I do have an adversity to strong heat because of this. It also makes my skin go all hot and irritated, and I get those annoying under the surface breakouts. I have been testing out this Altruist SPF for the last 5-6 weeks, and around that time or even before I think my skin had been breaking out a lot more, and going from dry to congested, and back and forth. Therefore, I have stopped using this for brief periods so that I could isolate whether it's a single product that was causing the breakouts. Although, now my skin has calmed down a lot and I'm still using this without any breakouts. Therefore, I would say it was just my skin adapting to the rollercoaster weather, and not the Altruist. 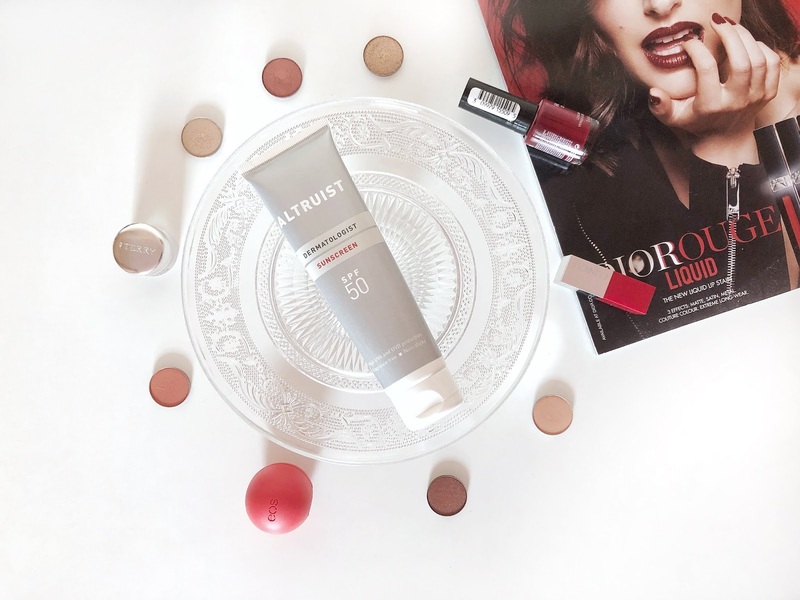 Overall, I would say the Altruist Sunscreen SPF 50* is incredible value for money. It definitely beats a lot of the drugstore SPF brands that leave your skin feeling like a hot mess. I think the formula would be suitable for a lot of people, especially those that struggle with sensitive skin like me. Again, the price point and the ethical stance behind the brand is just amazing, it's definitely an SPF I will be recommending to people. It's worth bearing in mind most SPFs no longer retain their power after they have been opened for 12 months, and because we have such a short summer here anyway, sometimes it does feel like a waste buying SPFs for your body and not using them much, but atleast with Altruist it's not like you're throwing away a lot of money. What is your favourite SPF at the moment? Sounds so worth the money! Thanks for sharing this! Always love learning about new sunscreen. Right now I'm using Alba and Drunk Elephant! I'll have to check this one out soon. Thanks for reviewing this sunscreen! I use Coola's Makeup mist which has a SPF of 30. I am an advocate of wearing SPF everyday too, it's the no.1 anti-aging care! These sound really lovely and I love that the brand is reasonably priced and supports a great cause. Very interesting review! I do use SPF 50 too, as I suffer from pigmentation marks. Great post!! I agree with you when you said we should support small, ethical companies. Companies like theses tend to be more healthier and less packed with chemicals. Yes, and it's so good to see the work they do! I thought I was the only one who wears sunscreen even in the most dull weather lol. I'm all about protecting the skin from the sun because it has a lot of damaging effects. I always tend to use the highest SPF too and this one sounds amazing! There's nothing worse than having a heavy feeling on the face and it's good that it's lightweight. Thank you for sharing it and recommending it! I know in England we rarely ever get chance to use SPF lol! I love that they donate a portion of the profits. Sounds like a great option for sunscreen. SPF 50, sounds perfect for this season! Great share. Seems like a good product... Will check for it. I love that this brand supports such an amazing cause- so good they give back! And SPF is really important- daily use is the besssst! I love that it absorbs quickly and doesn't have that greasy feeling, its always a put off when I use one like that! Sounds like a goodie then. Thanks for the honest review. I'm off on holiday in a few weeks so I might just give this a try whilst I'm there! This seems really nice. Would love to try this sunscreen myself. Thanks for the recommendation dear. Sounds like a really good product! How wonderful to hear Altruist donates to charities supporting children with albinism, that's so lovely! Haha, love your point about not needing many products for long as summer doesn't last very long! ;) Thanks for the honest review, this product sounds fab! I am forever faithful to my ISDIN Fusion Water SPF 50, it is my go to facial sunscreen for the last three years. Thanks so much for sharing this super helpful review - sounds like a fab product so I'll definitely be investigating more!! It looks like a great SPF! I have been looking for a great SPF lately since the weather have been super hot in Denmark and this one sounds perfect. Will definitely be checking it out! I really need to look into an SPF. Great post! I like a lightweight sunscreen. Ok wow... this be cheap. I need to try this!! I think you and I are on the same page when it comes to cheap products lol. By your words this sunscreen is a definite must try. I like it! Such an interesting back story to this brand and the founders! I bloody love that they donate to charity too - it's fantastic, especially because the price is so cheap too! I'll be honest that I most definitely could do better with my SPF! It's really important to wear spf every day even in winter, even if we are at home, I wish I knew that when I was younger, I never thought that the sun did such a damage on our skin. Ok I definitely need to try this sunscreen! I'm a firm believer in applying SPF daily on my face and always looking for a really good one. This sounds great! 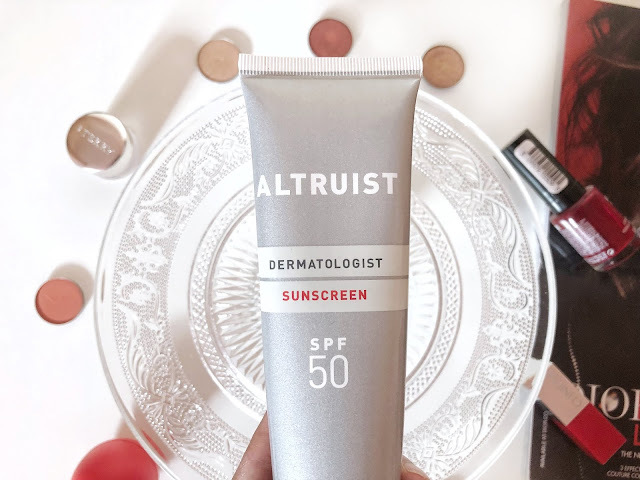 This sunscreen looks great, and it's so amazing that Altruist also donates to charities! Looks really good! Thanks for sharing this. I'm glad to know that they can be found on Amazon; I'll have to keep them in mind, as they sound like a brand and product I'd like. I also love the cause they support, too. Thanks for sharing, girlie, and I hope you have a great week ahead! Never tried this sunscreen but seems pretty nice on skin plus it's affordable. Looking after your skin is so important - I wish I'd realised that sooner! This product looks great, especially at that high SPF. Might have to give it a whirl! It's great that it's good value for money, I know people that don't like suncream because they have to keep buying lots and it's mega expensive. I wear suncream all the time (pale problems), so would definitely give this a try. I haven't tried this brand so far but this sunscreen looks really good and affordable. My favorite currently is from Korres, a Greek brand. All the information in this post is awesome and very interesting and I am glad to see this post. Here i have a best deal for you. If you want to get high discount coupons of Zaful products and also many other top brand products. You me just visit here and get coupons veryu easy. Wow that's a great price at £4! I have been looking for a lightweight spf as the ones I've tried have been quite heavy and having combined skin type I am reluctant to use anything that's too greasy or heavy on my face. so important to have a good sunscreen! Sounds like a great product. I've been relying on my BB creams with SPF. Sounds pretty lovely!!! I think any SPF you'd want to properly clean at the end! This is a brilliant post! I never got a summer glow this year, which I don’t mind but great post for those who want to keep it! I wear SPF everyday and this one sounds lovely! You can't beat the price and the fact that it's not too shiny or sticky is always good. Also I love when brands donate to charity for every purchase made! This sounds really great and we should all be wearing sunscreen everyday. It sounds like it is great value for money and the lightweight aspect really intrigues me. I hate heavy, greasy formulas so this might work well for me.